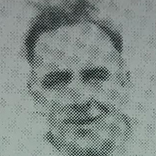 Cornelius had been with Folkestone and Grimsby Town before the outbreak of WW2. He joined United for season 1941-42 but he was not in the area long and left the Club when his army unit moved back to England. He was released in February 1942. Cornelius was born on this date in Hereford, England. Scan provided via the British Newspaper Archive.